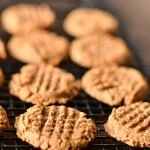 Super easy to make Almond Butter Cookies – Gluten Free, Sugar-Free. Yummy, quick treat. Everyone in my family loves cookies, so having some quick and easy cookie recipes on hand that are on plan with Trim Healthy Mama is exactly what this mama needs. 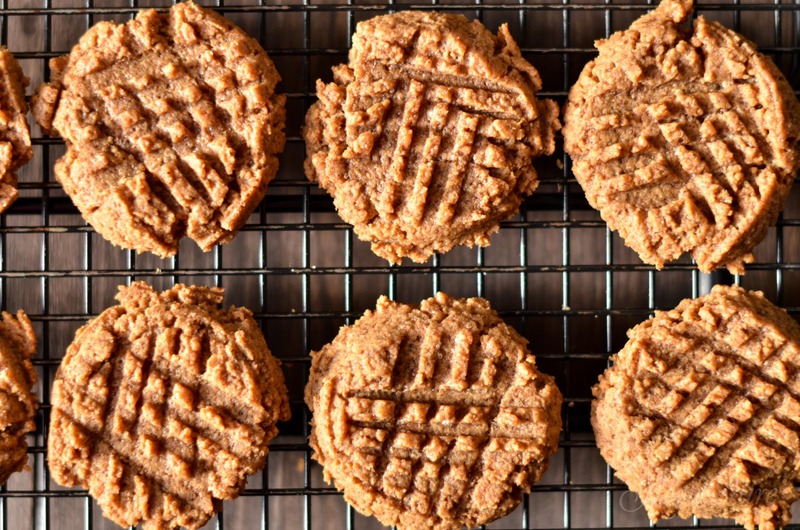 These grain-free almond butter cookies are easy to make and taste so good. 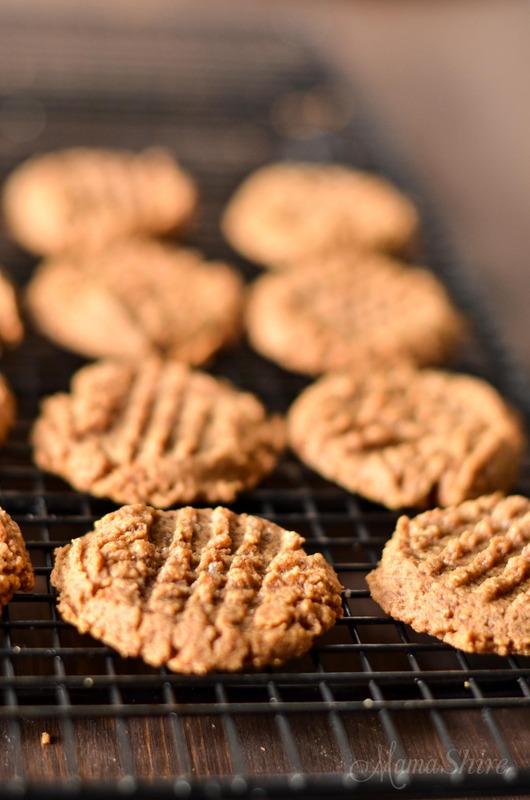 There is a recipe for peanut butter cookies like this that has been around for years, so a quick easy swap to almond butter and a THM on-plan sweetener makes these peanut free and sugar free. If peanuts are not a problem for anyone in your family go ahead and use unsweetened peanut butter in place of the almond butter. 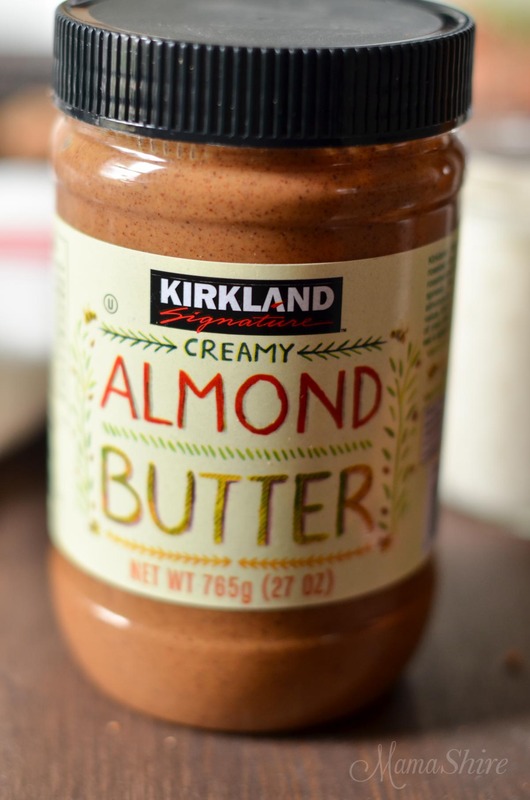 My favorite almond butter is from Costco. It has no other ingredients except roasted almonds. We don’t live very close to a Costco, so when we do go we usually stock up on favorites like this. We also like this almond butter on our toasted gluten-free bread. Preheat oven to 350°. Line a large cookie sheet with parchment paper. Mix ingredients in a medium-sized bowl. Scoop out with a spoon or a cookie scoop and place 2 inches apart on cookie sheet. Flatten cookies with a fork. I am having a little trouble with the sweetness of things, too. Everyone in my family has a little different taste for sweetness so it makes it a bit more challenging. Less is always going to be better though. Hi Sherry, I don’t have an exact amount, but I do know my baking pan is usually full, so I’m going to say 12 to 16 cookies depending on size. Any idea how I could make these with just stevia (no erythritol)? The sugar alcohols affect me terribly, so I need to find a way to make THM desserts using Stevia only. These look great and I’d love to try them. Thanks! Hi Deborah, it will probably change the texture, but I’m sure you can try it. I would just add a bit of stevia and taste test it until you get it to the way you like it. Sometimes baking will change the overall sweetness. I haven’t tried making these with just stevia, I wish I could give you a better answer. Any guess on exchanges for the THM sweeteners? Gentle sweet or super sweet instead of the stevia/erythritol? Thanks! I would suggest using 3/4 cup THM Super Sweet Blend. This will make them on the sweet side, so you can back off a bit if you like it less sweet.